Carol McMahon was born in California and grew up in the Hawaiian Islands. She later came to the Boston area where she attended the School of Fine Arts at Boston University and earned a BFA in painting. McMahon has shown her work in numerous group exhibitions at venues including the Duxbury Art Complex Museum, Duxbury, MA; the DeCordova Sculpture Park and Museum, Lincoln, MA; the Danforth Art Museum, Framingham, MA; the Museum of Art and Design, New York, NY; the Creative Art Workshop, New Haven, CT; the Levinson Kane Gallery, Boston, MA; room83spring, Watertown, MA; and LABspace, Hillsdale, NY. In 2010, she joined the Bromfield Gallery, Boston, MA, where she has had four solo shows: The Age of Un-Reason, Home Front, Off Kilter and Specimentos. McMahon’s work is included in public and private collections including the Gillette Company, Tufts New England Hospital, and the New Britain Museum of American Art. She currently lives at works at the Lincoln Studios building in Waltham, MA. Proof Gallery, Boston, MA, “Boston Does Boston XI". University, Danbury, CT, “Parallel Practices. Bromfield Gallery, Boston, MA, “Objectified". Kelley Stelling Contemporary, Manchester, NH, “Fast Forward". LABspace, Hillsdale, NY, “Spacial Oddities”. Ro2 Art, Dallas, TX, “CHAOS”. Bromfield Gallery, Boston, MA, “Double Vision”. Schiltkamp Gallery, Clark University, Worcester, MA, "HOME: Self, Spirit, Place". Bromfield Gallery, Boston, MA, ""Objectified"
Danforth Museum of Art, Framingham, MA, “Community of Artists”, Juried by Katherine French, Director, Danforth Museum. 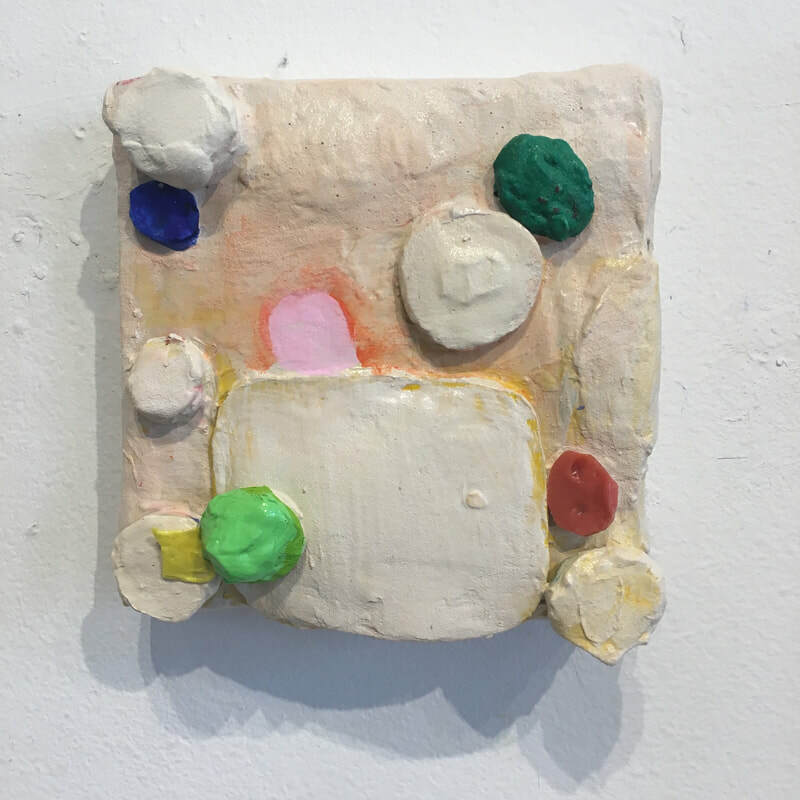 Danforth Museum of Art, Framingham, MA, “Off the Wall”, Juried by Jen Mergel, Senior Curator of Contemporary Art, Boston Museum of Fine Arts, Boston, MA and Helen Molesworth, Chief Curator, ICA, Boston, MA. Danforth Museum of Art, Framingham,MA, “Off the Wall”. Juried by Carole Anne Meehan, Curator, ICA, Boston. Solo show, Newton Free Library Gallery, Newton, MA, “Carol McMahon: Collage”. New Art Center, Newton, MA, “Icons and Altars”. Danforth Museum School Gallery, Framingham, MA, “Collage in the 21st Century”. Massachusetts College of Art, Boston, MA, “Mass Art China Studio: Books and Journals”. Danforth Museum of Art, Framingham, MA, “A Community of Artists Curated by Katherine French, Director, Danforth Museum. Viridian Artists, New York, N.Y., “9th Annual Juried Exhibition”. Juried by Lisa Phillips, Curator, Whitney Museum, New York, N.Y.
Solo show, Dana Art Gallery, Dana Hall School, Wellesley, MA, “Carol McMahon”. The Art Complex Museum, Duxbury, MA, “Critic’s Choice”. Curated by Lois Tarlow Mazmanian Gallery, Framingham State College, Framingham, MA, "Artists for Survival”. ​Levinson Kane Gallery, Boston, MA, “The Dog Show-Celebrating Man’s Best Friend”. BVAU, Boston, MA, ”An Education of the Heart”, Juried by Sue Coe, artist. 1990 Mills Gallery, Boston, MA, “The Cave”. Helen Bumpus Gallery, Duxbury, MA, “Hanging Around Together”. Sherman Union Art Gallery, Boston University, Boston, MA, “New Works for the 90s”. Solo show, Helen Bumpus Gallery, Duxbury, MA, “Carol McMahon: Paintings and Drawings”. Ann Jones Gallery, N.E. Harbor, ME. “Mostly Pastels: Carol McMahon and Debbie Cornell”. BVAU, Boston, MA, “Invitational”, Curated by Cary Wassermman. Chris Bergeron, “Where Art is All in the Family”, The Metrowest Daily News, 2007. Meredith Goldstein, “Quick Picks-Art Borrego, Boston Globe, 2006. Beverly Creasey, “An Education of the Heart”, The Allston-Brighton Journal, 1991. Cate McQuaid, “Cave Drawings, South End News, 1990.